Nigeria’s 2016 crop production is set to dip on account of low quality seeds and rising fertilizer cost which have frustrated farmers’ cultivation efforts. The rising cost of fertilizers and access to quality seeds is a major hurdle on the nation’s way to achieving food self-sufficiency, as farmers productivity dips. Despite efforts of successive government to give farmers’ access to fertilizers and improved seeds farmers are still unable to get access to quality seeds. “We don’t have access to quality seeds and the price of fertilizer has increased from N6, 000 to N9, 000 which most farmers cannot afford. 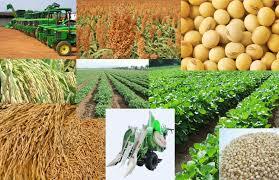 This will threaten crop production this year,” said Abiodun Olorundenro, a farmer in Oke-Odan, Ogun State. “ I t has affected m y produce badly that I couldn’t even produce anything significant. My income was badly affected because of low productivity. I can’t even afford buying fertilizer at N9, 000 a bag,” Olorundenro said. He called the government and relevant agencies to ensure that it is only good and quality seeds that are coming into the country. This is the case of many farmers across the country as the Federal Government fails to provide subsidized farm inputs like seeds and fertilizers to farmers in the 2016 planting season has led to farmers purchasing fertilizers at a higher cost in the open market. “The issue of seeds in the country is that farmers are not informed and they don’t know where to get these quality seeds from. Extension service agents that are supposed to educate and inform farmers hardly visit their farmlands,” said Afioluwa Mogaji, chief executive officer, X-RAY Farms. The farmers also complained that the low quality seed is affecting their yield per hectare capacity, which is making it very low. And the quantity of seeds in the market is very low compared to the numbers of farmers in the country. Muhammed Augie, a rice and wheat farmer in Kebbi said, “Farmers farming rice and wheat in Kebbi don’t have quality seeds to use on their farmlands. Most of the seeds in the market are of low quality.” Augie stated that Nigeria is supposed to be sufficient in rice and wheat, but if farmers can’t access quality seeds, production will be affected and farmers will be unable to meet demand which is also responsible for the nation’s low yield per hectare. According to experts, seeds are the basis for crop improvement allowing farmers and plant breeders to develop cultivars with high levels of adaptation. This is the reason why a lot of efforts are put into breeding improved varieties in terms of yield and tolerance to production limitations such as drought and diseases.